Boxwalla is a subscription box company dedicated to sharing the best books, films, and green beauty items. They curate bi-monthly boxes in each of those categories. Subscribe to one or more, and add or switch interests at any time! 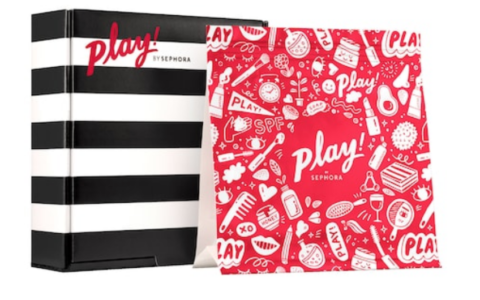 Their Beauty Box features cruelty-free, nutrient-rich beauty products. Each box is themed around a different aspect of what Boxwalla calls “the beauty ritual”. This review is of their $49.95 every other month, beauty box. FYI – Order by 3/20 to get this April box! The Products: Luxurious and effective green beauty products for your skin and body. The products are crafted by artisans from all over the world. All products are full-sized or large travel-sized products and are cruelty-free. Very excited to see a product using (sustainably sourced) wild neem honey since I’ve been hearing a lot about neem in general and just recently got to experience it in a different form. If you frequent my beauty reviews, you know that I love facial masks and this one immediately comes across as unique and interesting. Reading the box as well as the info card included, I learn that many of the included ingredients were used in traditional Russian folk medicine that Malaya founder Katya Slepak learned about from her Mother and Grandmother. You can learn more about the full ingredients on their site, but another that stood out to me is Blue Tansy which I’ve seen popping up a lot lately, so that also excited me. They call this a youth-boosting formula that is meant to “soften, calm, and clarify” which I’m always into since I have entered the last year of my 30s and need to keep my skin looking it’s best. This deep greenish brown mask has such an intoxicatingly wonderful smell as soon as you open it. There are so many great ingredients that it’s hard for me to point out exactly what I’m smelling, but the combination is just lovely and calming, which is just what this mask is meant to do. Since there is honey in there, it has quite a thick and slightly sticky consistency to it which I have to admit is really fun to brush onto my face. This is the first time I used the foundation brush I purchased a couple of months ago specifically to apply a mask like this and it really made the experience more like going to a facialist. Of course, fingers are fine to use, but it’s a lot less messy with a tool. 😉 I brushed it on rather liberally and left it on for 20 minutes while it worked its magic. All of those calming scents really helped me relax along with the dim lighting and oil diffuser I have going in my bedroom. The mask doesn’t fully dry but keeps its wonderful consistency that I washed off when the time was off with the help of a washcloth. There is the slightest bit of grit in there as well which gently exfoliates as you rinse it away. My face felt truly amazing after this mask and it was such a magical experience the entire time. I would highly recommend this product when you want to elevate your home spa experience! UPDATE: The estimated uses from this jar by Malaya is about 15+, depending on how thick you like to apply the mask. The second product in this month’s box is a perfect one to follow the nourishing mask. Flower and Spice is a new brand to me and like the other featured brand, founder Karmen Novak uses spices from her Slovenian heritage along with the flowers of her home base of Holland to help her create her products. Rose, coriander, prickly pear, and aloe vera are the star ingredients in this moisturizer that comes in a full-size 2-ounce jar. Sign me up. There is something about this product that is just so creamy and gorgeous. I almost want to grab a spoon and start eating it but control myself. It is almost like creme brulee. It’s thick enough to keep its form yet feels ridiculously light while spreading it on my face. The bouquet of smells that are coming from this immediately put me in a great mood and I feel simply luxurious slathering it on after a good cleansing in the morning and at night. Just a little of this is enough to cover my face and neck, so I will happily have this in my collection for a quite a while. I get so many great products, but I think this one is automatically shooting to the top of my queue for daily use since my skin feels like butter after applying! Truly so velvety and wonderful! Ahhhh! Verdict: If I had to describe Boxwalla Beauty in one word, it would be LUXURIOUS. Both products this month really knocked my socks off! With a retail value of $160.00, this $49.95 box is well worth the cost and truly transported me to a high-end spa-like experience in my own home. These two products are clearly where luxury skincare and green beauty meet and I am LOVING it. Amazing curation, Boxwalla! I can’t wait to see what’s next! Can you still get this box if you sign up today? Yes, but hurry! You have until March 20th to sign up and get this box before it sells out. Check out all our Boxwalla reviews and more great green beauty subscriptions in the Beauty Subscription Box List! What do you think of the April Boxwalla Beauty box? I only had my Boxwalla sub for 3 months and loved it! I’m so envious of this box. It looks amazing and luxurious. I will probably re-sub. i came here to comment about the same thing – 4 uses out of a 80 ml jar of mask! seems really really expensive per use… hopefully results can be seen with a thinner layer so i can stretch the lovely mask for a longer use. cant wait to receive my box! Hi! You should be able to get way more than 4 uses. Katya (the founder of Malaya) mentioned that there should be around 15+ applications depending on how thick a layer you use. Hope that helps!! hi lavanya, thanks for responding to this! am excited about boxwalla boxes, keep up the great work! Thank you for the kind words zeezee! Hope you love! Thanks for replying Lavanya! I always love seeing when the box owner replies with additional info. 🙂 After thinking about it more, based on seeing the mask’s consistency, it looks like I’ll definitely get at least 10 uses out of it. Thanks for curating another great box! Thanks so much Luna- you are so sweet. I was a bit hesitant to comment as I don’t want to get in the way of honest & valuable feedback but I’m glad it was helpful and hope you enjoy the box! Thanks for chiming in, everyone! It seems that estimating uses by volume is not my strong suit, so I apologize for that! I’ve updated the review to included the estimate by Malaya. Will certainly look for that moving forward instead of making a guess! No worries at all, Marne! Thank you so much for such a wonderful, detailed & helpful review. Everybody will probably get a different number of uses out of this jar, so it’s all good! I’m definitely willing to give the Moana mask another try (but only through a box 😉 )! I think I only got a few uses out of mine because it became slightly dried out; not due to being old, but for some reason the oils in it kept oozing out even though the jar was always upright. It was really weird. I have another Honua mask I haven’t tried yet (the ‘Aina mask), and I haven’t had any oozing problems with that one, so I think that’ll be a better judge of how many uses I’ll be able to get out of the Honua masks. 🙂 With seeing the Malaya masks’s consistency, I could also see myself getting more than 4 uses out of it since I’m generally not heavy handed with my products… I guess I was just judging it by the jar size and my recent experience with the Moana mask. I can’t wait to use it! I love Boxwalla! They find indie brands that are all natural and luxurious. I’m finding that I’m dropping a lot of my subs for only boxes that have full size products and BWalla is the one that seems to be taking care of all my beauty needs. Oh Stephanie- thank you! You totally made my day. Boxwalla beauty and Pearlesque beauty are my two favorite boxes.